Want to see how fast a plate of apps can disappear? 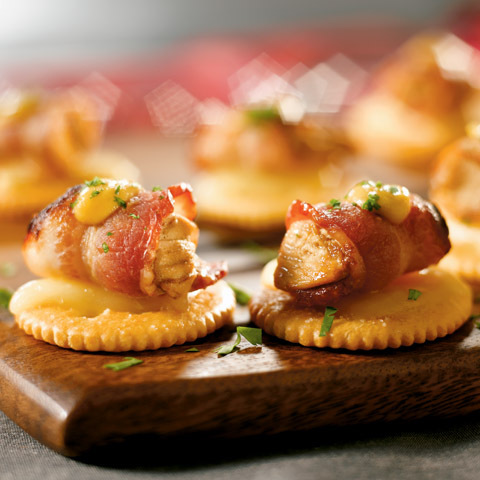 Combine flavorful bacon, juicy chicken and melty cheese on buttery-tasting crackers and watch. Heat oven to 350°F. Remove toothpicks. Cut cheese slices in half. 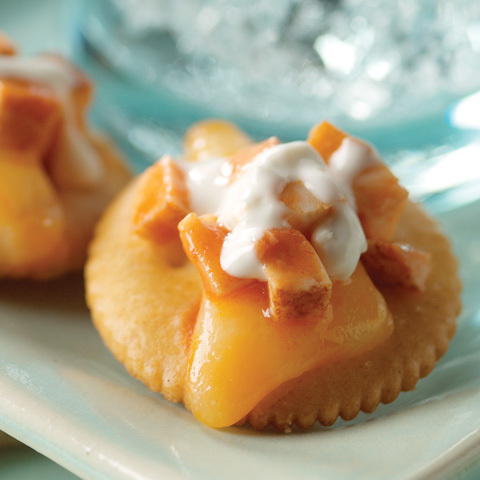 Place crackers on baking sheet; top with cheese. Bake 4 to 5 min. or until melted. Top with chicken and remaining ingredients. Make AheadBacon-wrapped chicken pieces can be broiled ahead of time. 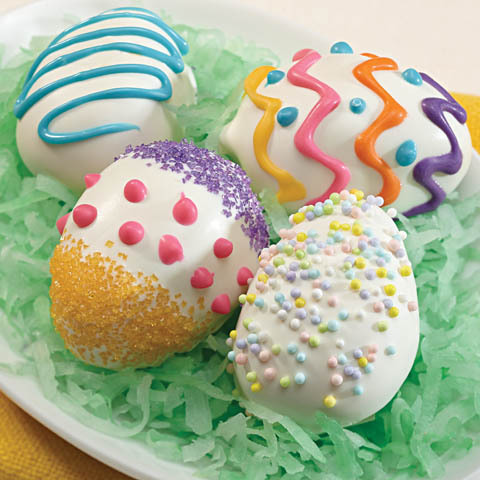 Cool completely, then refrigerate up to 1 day. 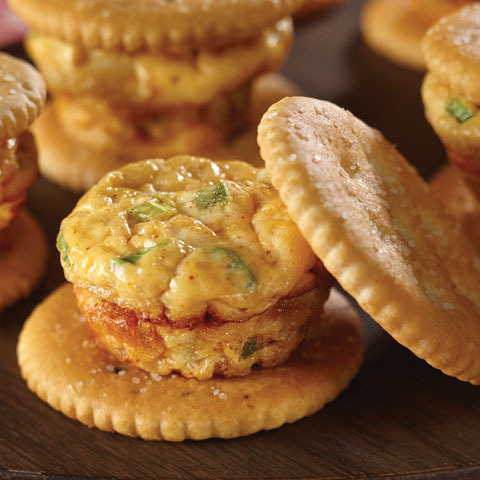 When ready to serve, top crackers with cheese and chicken, then bake as directed. 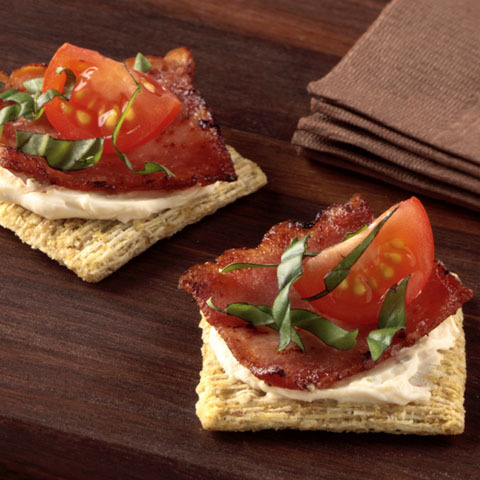 SubstitutePrepare using Monterey Jack cheese.